This post was meant to publish before Christmas - however between last-minute crafting, sick kids, and no sleep, that did not happen. Christmas recap post coming soon (I hope)! Doing anything with a toddler is an adventure. If it involves messes, there's no way to predict what will happen. 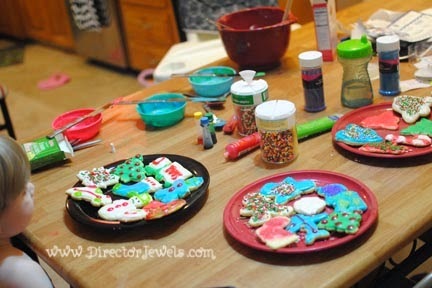 Regardless, a few days before Christmas, we decided to be adventurous and bake sugar cookies with our little ones. Family traditions have to start sometime, and it might as well be early! 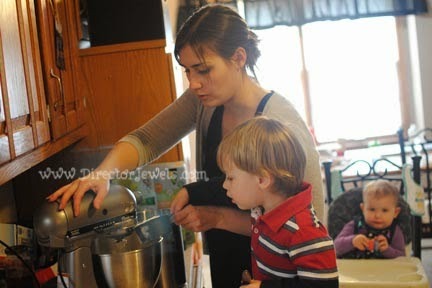 Lincoln was thrilled when we asked if he would like to help make cookies. His response was something along the lines of "Inky help, yes! 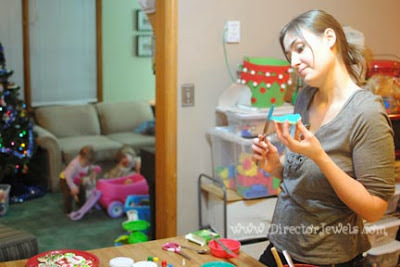 Make - EAT COOKIES!" 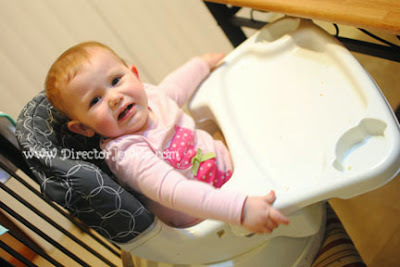 Miss Addie wanted to be involved, so we pulled her high chair close to allow her to observe. Making the dough in my wonderful (brand-new-gift-from-hubby-for-Christmas) KitchenAid mixer was pretty simple. Lincoln loved dumping things into the bowl. There was flour everywhere by the time we were done. We split the cookie-making process into two parts, since toddler attention spans can be short. 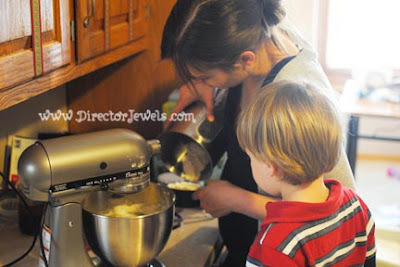 We mixed the dough in the morning and came back to the project later that evening. 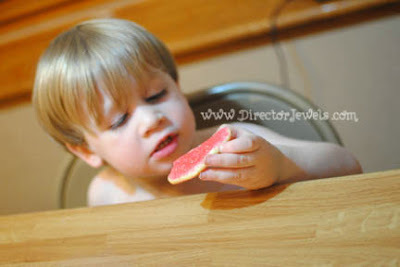 Lincoln was very excited about using the rolling pin and the cookie cutters. Adding sprinkles was pretty exciting for him, as well. He really wanted to eat all of the dough without bothering to bake the cookies first, but still had fun with decorating....for about ten minutes. Addie started losing interest too, once she realized we were only giving her cookie cutters to chew on and no actual (super fun) messy things. After the first batch was baked, Lincoln of course started begging to eat all of the cookies. 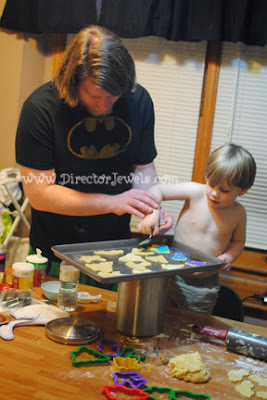 He practically inhaled the yummy baked treat, begged for more, and was quite upset when we told him we would not be consuming all of the cookies that night. Addie was offered bites of cookie, but really wasn't very interested. Both of them decided to abandon the project and start throwing toys around the living room playing. 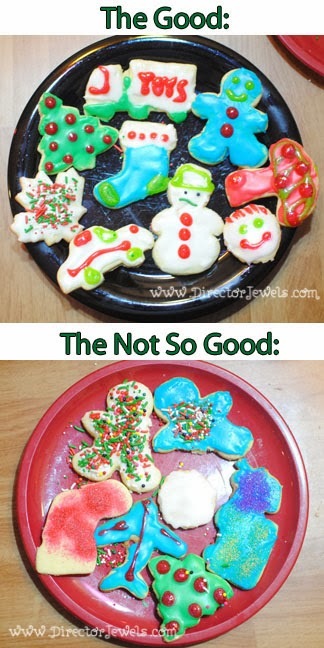 This left Andrew and I the fun task of finishing up the cookie project while trying to keep the house and children in a non-chaotic state. We were mostly successful, though we did have a lot of toys to clean up when we were done. Our efforts were kind of scattered. Some of the cookies were impressive. Others were not. Either way? We had a fun time. We made a memory. More than once, we looked at each other across the kitchen table and said we are all kinds of crazy for ever deciding to do this. But it was a family adventure - and a tradition that we can keep up for years to come. I bet that next year, I'll have somewhat more eager little helpers. iPhone Tip: Are You Using Your Emoji Keyboard?